Did you know that your credit score is one of the most important numbers that impacts your financial future? A strong credit score can be the magic number that helps you qualify for the credit you need at a great interest rate, which can mean hundreds and even thousands of dollars in savings. On the other hand, a low credit score could turn into the hurdle that prevents you from getting the loan you need to buy a new home, find financing to purchase a car, or even qualify for cell phone service. The first step to achieving strong credit health is understanding your credit score and learning the basics of what’s in your credit report. A credit score is a three-digit number, calculated by an algorithm that uses information from your credit report. The score is designed to predict the likelihood that you can meet your credit and payment obligations or that you will go delinquent on your payments. A common misconception is that each person is assigned only one credit score that bureaus and lenders access, but that’s not the case. You can have multiple credit scores that are slightly different because there are multiple credit bureaus, different scoring methodologies, and your credit information is often updated at different times. Your score is calculated off the credit report on file from each bureau. For example, you can have a Vantage Score of 690 from TransUnion and a Vantage Score of 692 from Experian because each bureau may have slightly different information about you that will feed into the score calculation. In most cases your credit scores will be within a few points across bureaus for the same score type. There are dozens of credit bureaus in the U.S. that produce consumers’ credit reports, however, the main credit bureaus that are used by the majority of financial institutions and businesses to check consumers’ credit are Equifax, Experian, and TransUnion. There are hundreds of scoring models but the most well-known scoring agencies are FICO Score and VantageScore. And, each scoring agency has multiple variations of their scoring models. FICO and VantageScore release updated versions of their scoring models regularly to reflect the latest data that predicts risk. Additional FICO Score versions include industry-specific versions such as auto lending, credit cards and mortgage lending. Don’t worry about tracking every credit score. Instead, keep track of the bigger picture by understanding the key factors that impact your credit score and how they’re each generally weighted. Although each scoring model is slightly different, getting a general understanding of how credit models work will prepare you to make changes that can improve your score. Sign up for Upgrade’s Credit Health to get your free credit score, credit monitoring, and credit education tools. Credit reports are comprised of the information that each credit bureau collects and has on file about you. Credit reports are updated on an ongoing basis based on your behavior and information you give to businesses and financial institutions, including credit card companies, banks, mortgage companies and other lenders. Credit History: the number and type of opened, active and closed accounts you have (credit card, auto loan, mortgage, etc. ), age of credit accounts, credit utilization rate, the account balances and your payment history including the number and severity of late payments. Credit Inquiries: when you apply for credit and the lender performs a “hard” pull of your credit report, it will appear on your credit report as a “voluntary” or “hard” inquiry. This is different from “involuntary” or “soft” inquiries which happens when you check your rate online or when lenders pull your report to make you a pre-approved offer in the mail. Only hard inquiries are visible to other people, and they can impact your credit score for up to one year. Public Records and Collections: information on overdue debt from collection agencies and can include bankruptcies, foreclosures, suits, wage garnishment, and liens. What’s a good score? What’s a bad score? Lenders and businesses set their own parameters for the scoring model they want to use and what constitutes as a good credit score for a particular product or service. A specific score doesn’t guarantee you’ll be approved for credit or receive the lowest rates, but aiming for a higher score will increase your chances. Based on the commonly used scoring range of 300 to 850 , a score of 781 to 850 and above is generally considered “excellent” and means you’re well positioned to qualify for credit with the lowest rates. Scores less than 657 are generally considered “below average” and mean you might not qualify for credit or might not get the best rates. Taking action now to improve your credit score can help you not only qualify for credit with better rates, but may also help you avoid extra fees or deposits that are sometimes required for borrowers with lower scores. If you find that your score isn’t up to par, take a look at your credit report to see if there are any ways you can improve your credit score over time. If you find that credit score is being dragged down by inaccurate information take action to dispute the error. Where can I get my credit score and credit report? In the Internet age, there’s no excuse to not know your credit score—there are a variety of websites where you can access your credit score anytime. Upgrade’s Credit Health not only gives you access to your free credit score, but a suite of credit monitoring and credit education tools so you can see what’s impacting your credit score and make changes to improve it. Additionally, based on the Fair Credit Reporting Act (FCRA), you are entitled to request a free copy of your credit report once every 12 months from any of the nationwide credit reporting companies — Equifax, Experian, and TransUnion. To get your annual free credit report, visit AnnualCreditReport.com, call 1-877-322-8228, or complete the Annual Credit Report Request Form and mail it to: Annual Credit Report Request Service, P.O. Box 105281, Atlanta, GA 30348-5281. Do not contact the three nationwide credit reporting companies individually. Strong credit health can be empowering and help you achieve a better financial future. 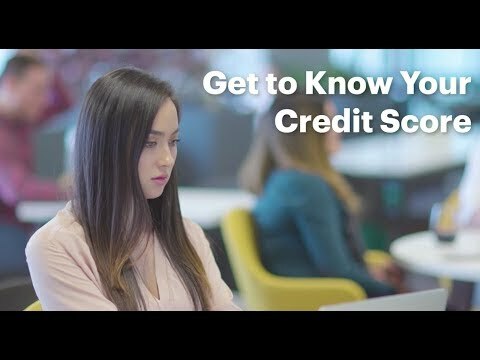 The first step to achieving good credit health is knowing where you land on the credit score spectrum and understanding what’s in your credit report. Investing now in understanding and improving your credit health can be a game changer in your future—it can make the difference between getting approved or denied credit, or between a high or low interest rate. Check your credit score regularly and review your credit report annually to take better control of your finances and reach your full credit potential.